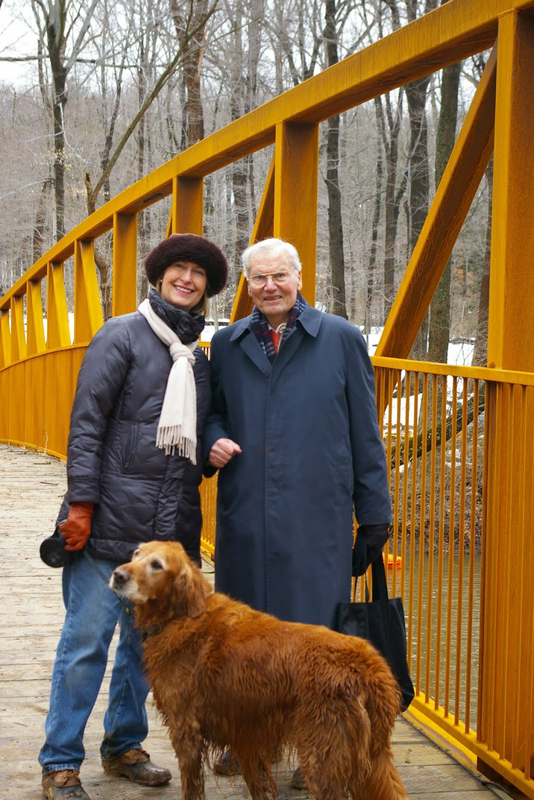 Friends of Princeton Open Space wishes a very HAPPY 90TH BIRTHDAY TO HELMUT SCHWAB! When the Institute made known its desire to develop its land along Quaker Road, Helmut showed his tremendous ability to organize and motivate people. He quickly set up a meeting at his home of a group of interested parties, which included people with knowledge in many pertinent fields, and developed strategies for channeling their expertise into coordinated action to protect all of the Institute’s lands apart from the core campus. Later, once FOPOS, the Watershed Institute, D&R Greenway, the town and the state reached the framework of an agreement with the Institute, Helmut tirelessly prodded friends, neighbors and acquaintances to donate money to purchase the development rights. Of course, he and his wife Eva were also generous donors. Helmut was instrumental in organizing an initiative to link Princeton’s open spaces through a system of trails running between the parks. He devised exploratory trail route assignments for other board members and pressed them to think of ways of linking existing open spaces and to anticipate where trail connections could be made in the future. Helmut then helped put those reports together into a cohesive plan. Responding to the almost fantastical suggestion (or so it seemed) that a pedestrian bridge could provide the critical link in a Stony Brook trail from Rosedale Road to Route 206/Stockton Street, Helmut took it upon himself to make it real. He harnessed a Princeton University engineering professor who tasked his students with formulating a design, and followed up with a tempest of presentations, phone calls and email lobbying of Princeton Township officials. Helmut also helped to fund work on a trail from Rosedale Road to the bridge, and helped to get the Hun School on board with a spur of the trail coming through their campus. Over the years, Helmut has written many letters to the editor on environmental (and other) issues, sometimes on behalf of FOPOS and sometimes on his own behalf. These were often bold and even courageous pieces that prodded the community to think harder, or in a different way, about open space and quality-of-life matters here. By his respectful and well-reasoned approach, Helmut helped move public opinion in a positive direction. Happy birthday, Helmut, good Friend of Princeton Open Space!